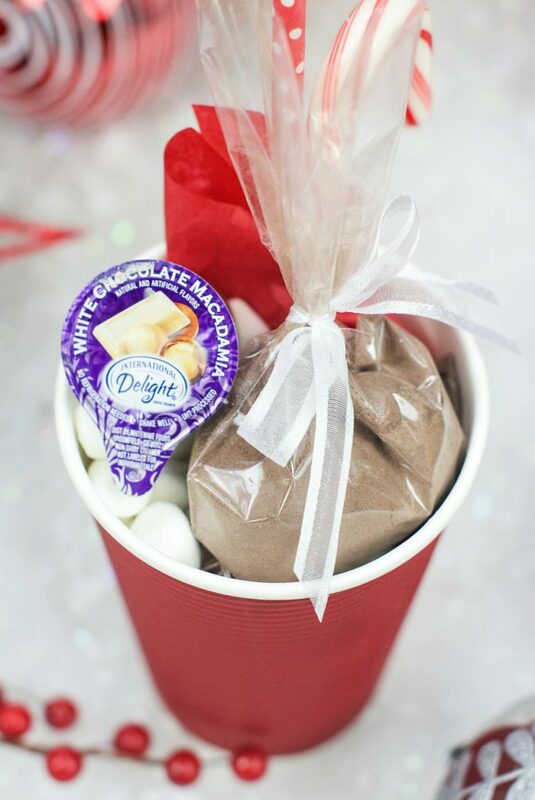 A Peek at the Fun: Put together this fun hot chocolate gift basket for someone this holiday season! 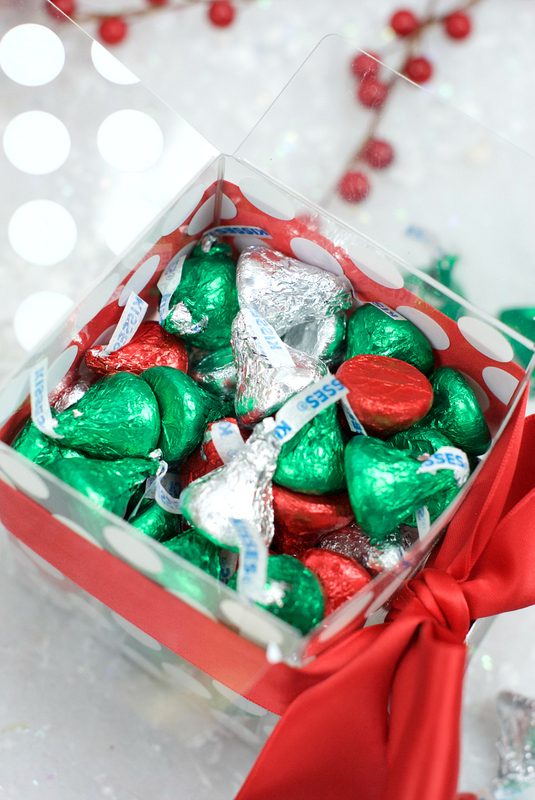 Hot chocolate makes a perfect gift and this set is something they will love! I. Love. Hot Chocolate. (This is Amber speaking.) I drink it every day of my life, even all summer long. Some people think I am crazy, but I just love it that much. 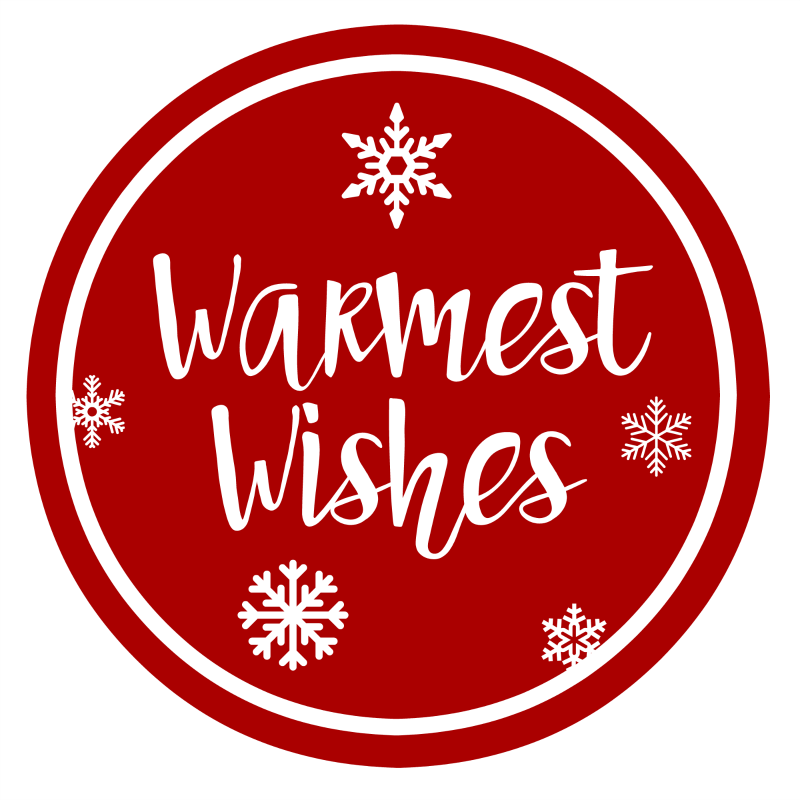 But now it’s really the time of year that you can enjoy it, and enjoy it I do! 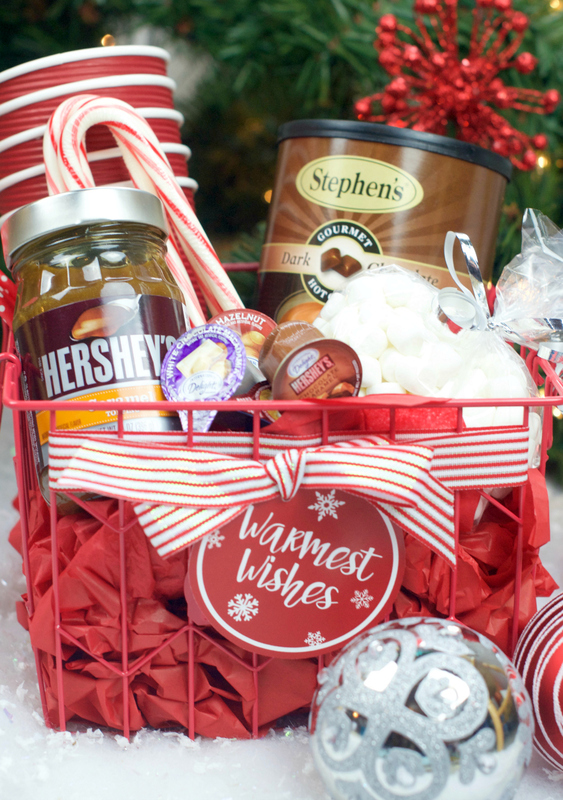 We thought it would be extra fun to share the hot chocolate love with friends or neighbors at Christmas and put together a hot chocolate Christmas gift basket! 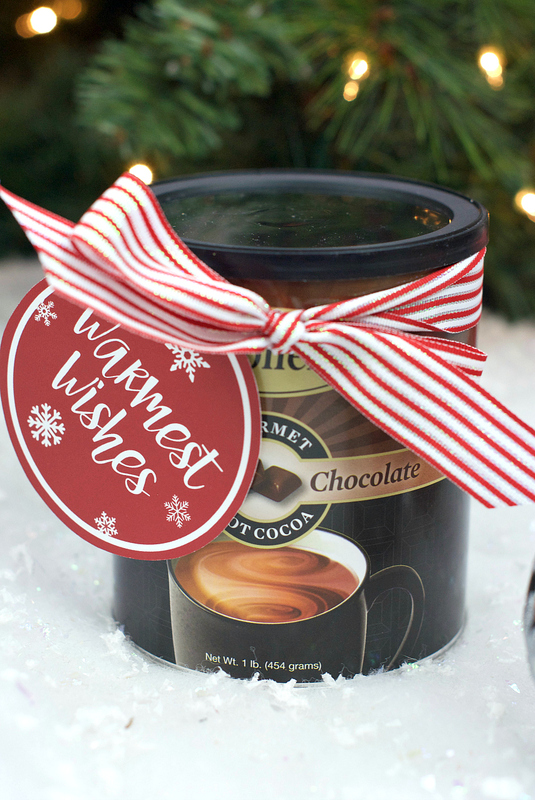 (Or I’ve got some simpler hot chocolate ideas too.) How fun is this!? 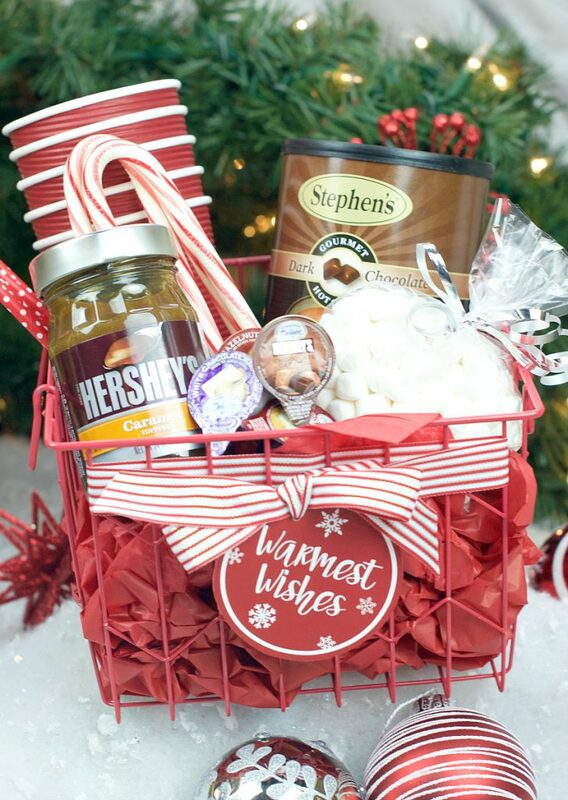 This hot chocolate gift basket is full of all the things a family might need to make gourmet hot chocolate. 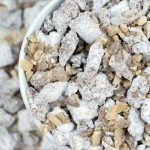 We’ve got the mix, great cups, straws and fun flavorings. Oh, and of course marshmallows! PERFECT! All packaged up with a nice tag. You can put anything you want in it really. Want to make the basket? 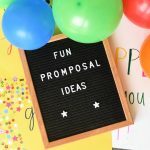 Here’s some ideas. 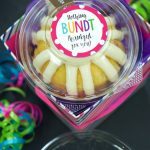 We found this cute crate at Target and filled it with tissue paper and all the fun gifts and added the cute tag! Here are some tags to add. Three versions, take your pick! Just right click and save and open on your computer in a program like Pages or Word and size how you want. 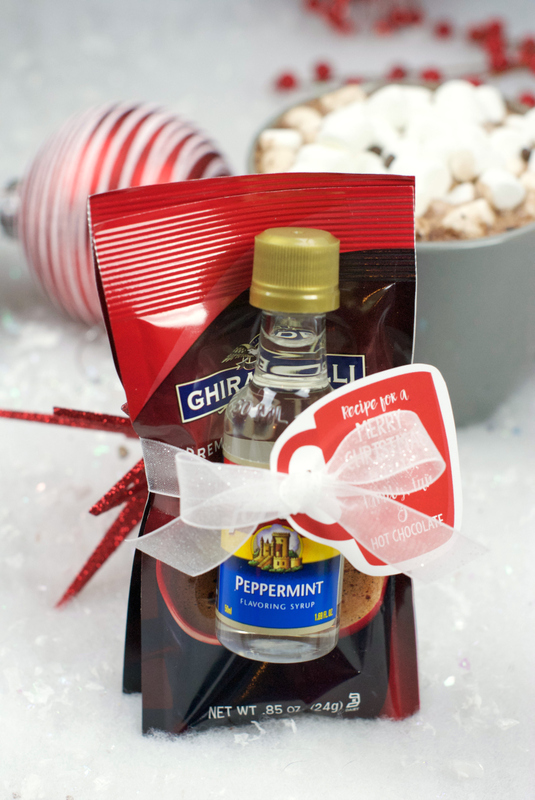 Have FUN giving this hot chocolate gift basket or these simple hot chocolate gift ideas!